What instructions does the Buddha offer as we seek an appropriate response to the challenges and complexities of our social and political lives? Through the close reading of two suttas, “What Do You Think About Me?” and “The Simile of the Saw,” we will explore the Buddha’s teachings on the social allocation of power. In these texts, the Buddha instructs practitioners on how to enact responsible social action. He offers advice about allyship: when to speak out or not. He gives direction on how to deal with unruly others. He suggests basic attitudes and practices to stay in balance and at peace when we do enter into conflict. These are practical teachings to support us in caring for others who are enduring intolerable situations. Through meditation, reflection, and discussion, we will investigate our own attitudes and reactions as we rub up against these often demanding instructions. We will connect with others to collectively gain clarity that will support us as we engage in liberation practices for the sake of all beings. 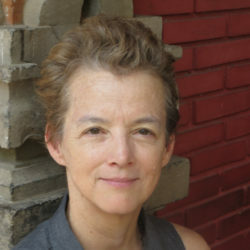 To connect with others and create community in resistance to oppression; encourage a view of practice that includes both formal sitting practice and action; learn how to grapple with demanding texts and find one’s own position informed by the discourses; recognize how the stories presented in the discourses invite us to deeply consider the often troubling nature of the social allocation of power and our resistance to it; understand from the Kinti Sutta (What do you think about me?) how Buddhist practice does not mean building a bubble of personal comfort but instead involves renunciation of despair and anger in service of wholesome action; consider action vis-a-vis non-action: not only how meditation can dissolve distress incurred in our worldly practice of Dharma; and also how ‘sharp speech’ may also imply that we may need to redirect others, or even rebuke them, and take action when we are not fully calm. Lila Kate Wheeler was authorized to teach at IMS-Spirit Rock ten years ago. She's now honored to serve as a coordinator for the current training cohort at Spirit Rock, historic in its diverse composition. 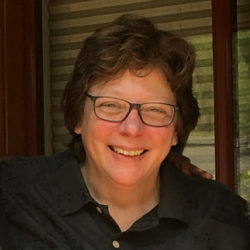 Lila's practice includes being a nun in Burma and the US; learning and authorizations to share Dharma from Harilal Poonja and Dza Kilung Rinpoche. She's married, a published writer, and edited the first anthology of Buddhist fiction plus two books by the late Sayadaw U Pandita, her Burmese meditation master. 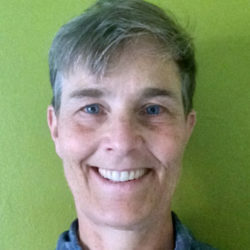 JD Doyle serves as a Core Teacher at the East Bay Meditation Center and has held many roles there, including Board member and co-founder of the LGBTQI meditation group. JD is in the Spirit Rock teacher-training program and has participated in the Dedicated Practitioner Program (DPP2) and the Community Dharma Leader Program (CDL4). JD has practiced Theravada Buddhism since 1995 in the U.S., Thailand, and Burma.